Great idea on how to serve raw veggies warm! 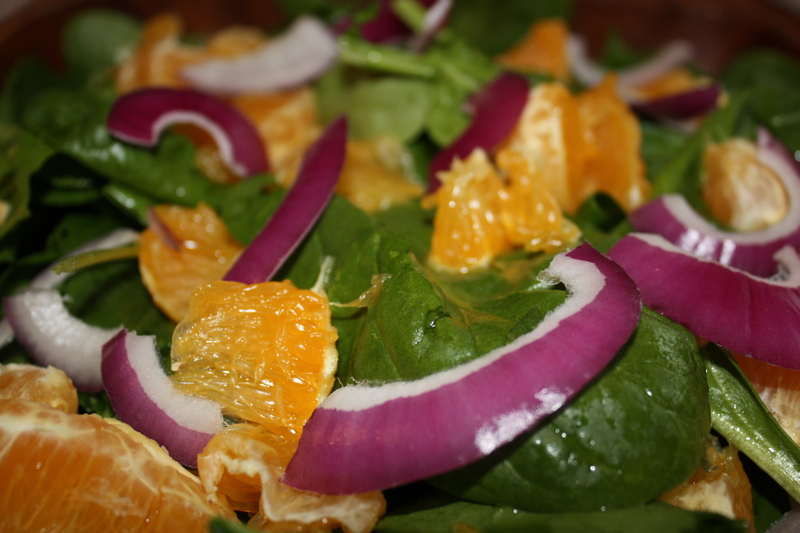 Today I made Spinach, Orange Salad pg. 165 A simple, 3 ingredient salad, yet very yummy. Topped with Strawberry Dressing pg. 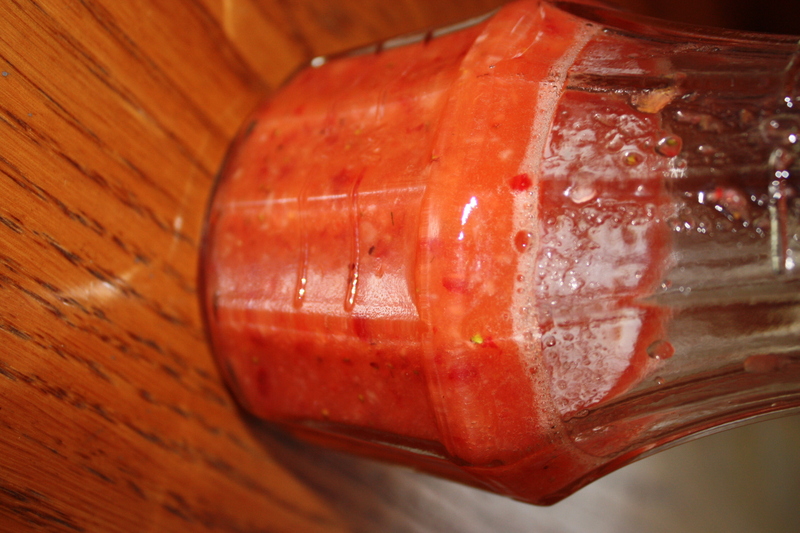 178 Love having a salad dressing that is fruit base! 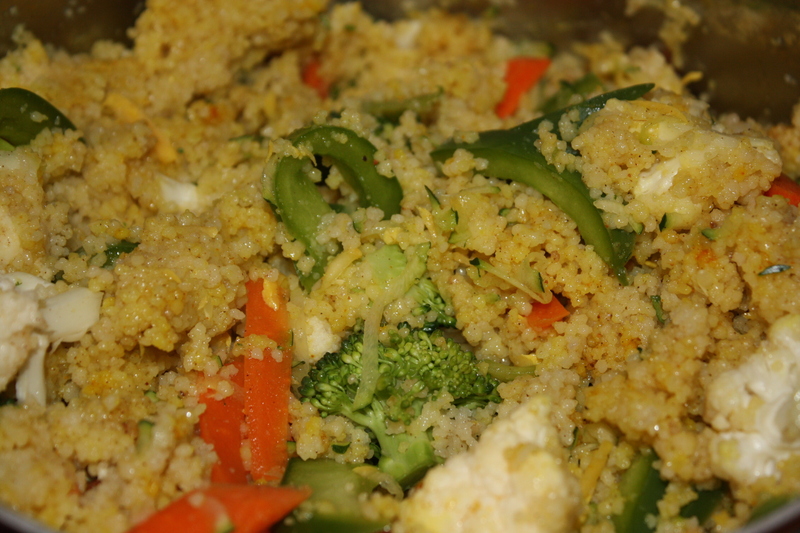 I also made Couscous and Raw Veggies pg. 249 I love couscous. The cookbook had a great idea in this recipe to cook the couscous, remove from heat, add raw veggies, cover and let sit for 10-15 min. That way the veggies are still raw, yet warm and softer than if served right after adding. Great idea!